Ohio State’s new Compressed Natural Gas (CNG) fueling station has officially opened. The university initially broke ground on the station – the first of its kind for an Ohio university – in July 2016. The station will serve the university’s Department of Transportation and Traffic Management, as well as the City of Columbus, and may be utilized by additional university, state agency and central Ohio municipalities. Finished the bus garage refueling project at Gahanna Jefferson Schools. 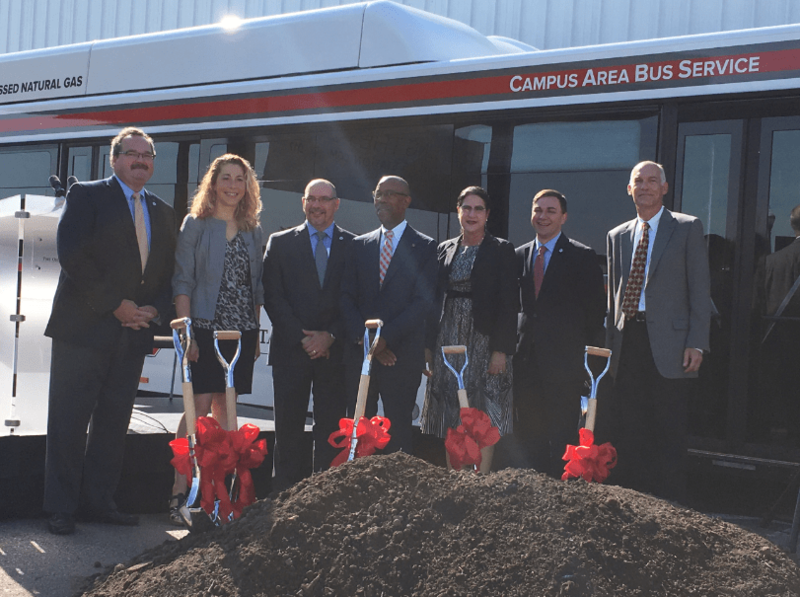 “Ohio State University (OSU) says it has broken ground on a new compressed natural gas (CNG) station on-site to serve the university’s Department of Transportation and Traffic Management and the City of Columbus, according to a university report. OSU adds that other university, state agency and Ohio municipalities may also use the new fueling station, which is estimated to cost approximately $3 million. This past Monday, July 11 2016 – The Ohio State University had their groundbreaking ceremony for the compressed natural gas fueling station that will soon be built. We have a few photos of that ceremony. “…A groundbreaking ceremony was held Monday for a compressed natural gas fueling station on Ohio State’s campus. The $3 million station, to be located just north of the Service Building Annex on Kenny Road, is the first of its kind on an Ohio college campus, according to a university press release. It is expected to be completed by early 2017.